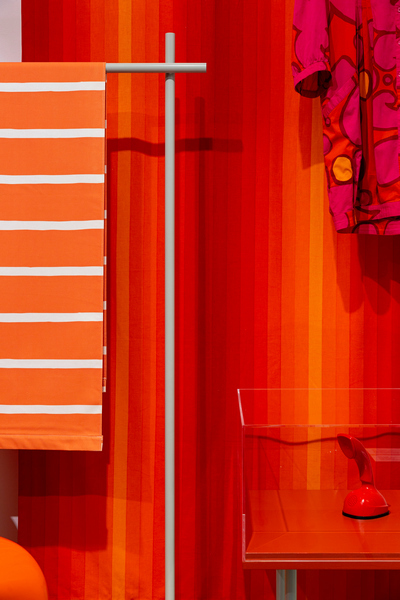 In my hometown we have the ‘Textielmuseum‘ (Museum of Textiles) for many years already. It is there because the city has an history in the production of textiles and fabrics until the 1960-70’s. Production was, around that time, slowly moved to other, lower cost countries. And all that was left were empty factories which in the end became part of the cities industrial heritage. 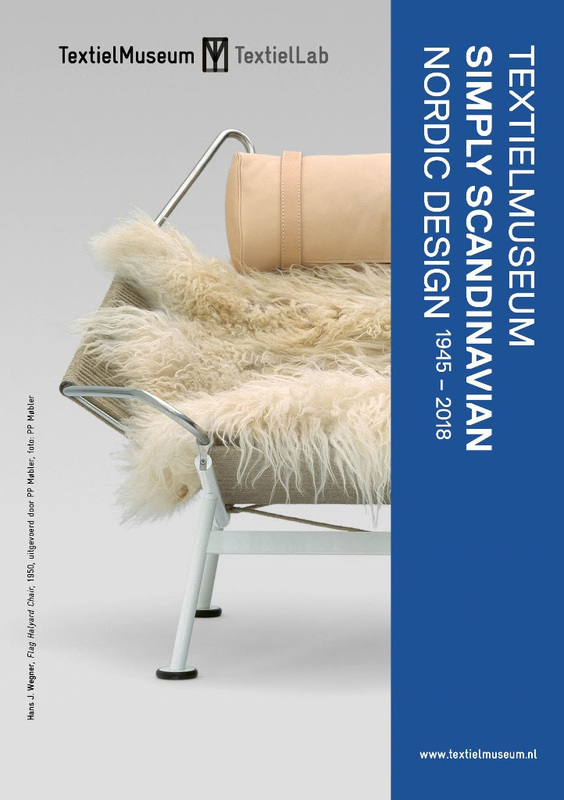 From June 9th 2018 till November 11th 2018 there will be an exhibition called ‘Simply Scandinavian | Nordic Design 1945-2018‘. ‘Does this information have anything to do with Ericofons?’ I can hear you say. Of course the main subject will be related to fabrics I expect. I was asked to deliver an Ericofon to match the exhibition. There will be other items shown as well as I understood. It would be an honor to do so, no doubt about that. A shiny Mandarin red Telia Ericofon will appear somewhere in the exhibition. I am really excited. 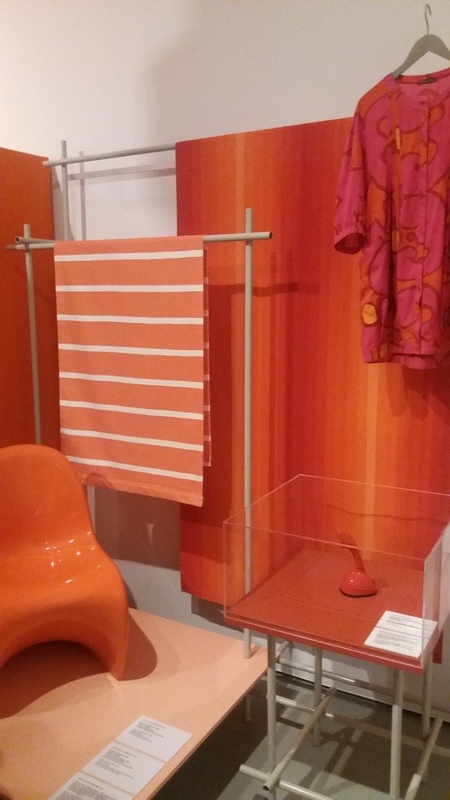 Besides the Ericofon, I expect the exhibition to be very interesting as well. So please support the museum and go there!! They have lots of interesting stuff. 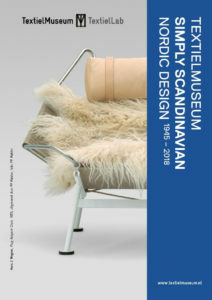 As said, the museum exists for a long time already and I can remember the first time I visited it, over 40 years ago. It must be back in 1975 or so… It was in the pre-GPS-era so we got lost on our bikes going there with some schoolfriends. But in the end we managed to find the museum. It was there, it is still there and it will always be there. Today we were invited to the opening of the exhibition. It was fantastic!! If you are interested in design I can for sure recommend it to you. 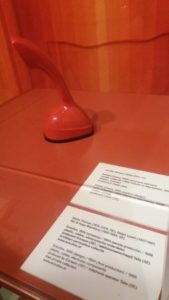 Not only the Ericofon was there, which is a reason in itself…, but many other items that you might recognize from the early days. The exhibition will be there until November 11th 2018. 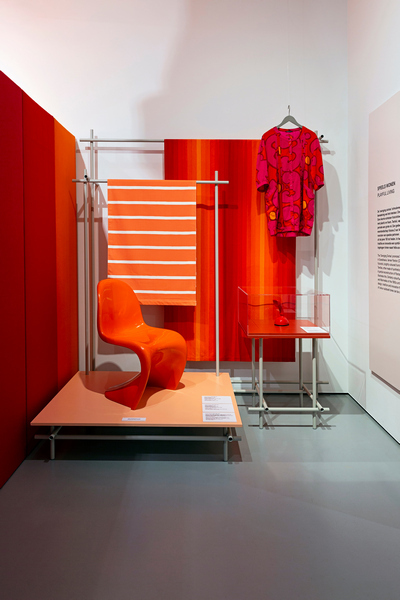 Worth mentioning that the Textielmuseum was ‘Museum of the year 2017’. But in the end all I can say is that the museum is still there… and that you have to visit it!! This entry was posted in history on May 17, 2018 by admin.